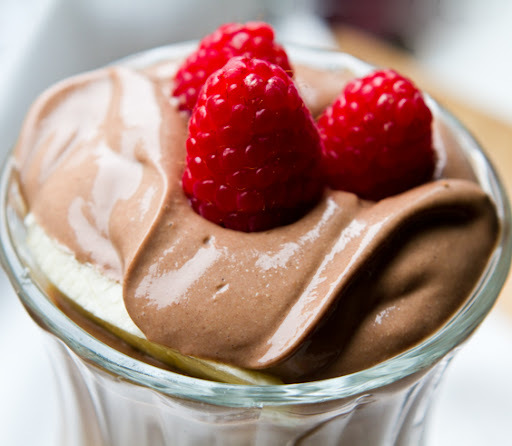 This creamy, decadent, chocolate pudding may look sinfully sweet - but it is actually quite good for you. 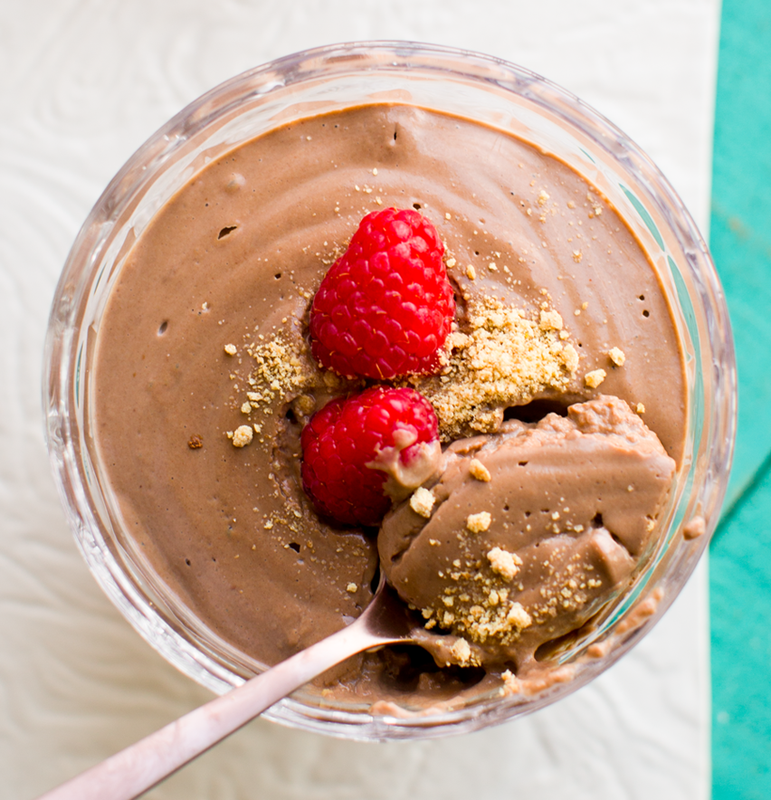 Rich in plant-based protein from tofu and antioxidants from raw cacao powder. 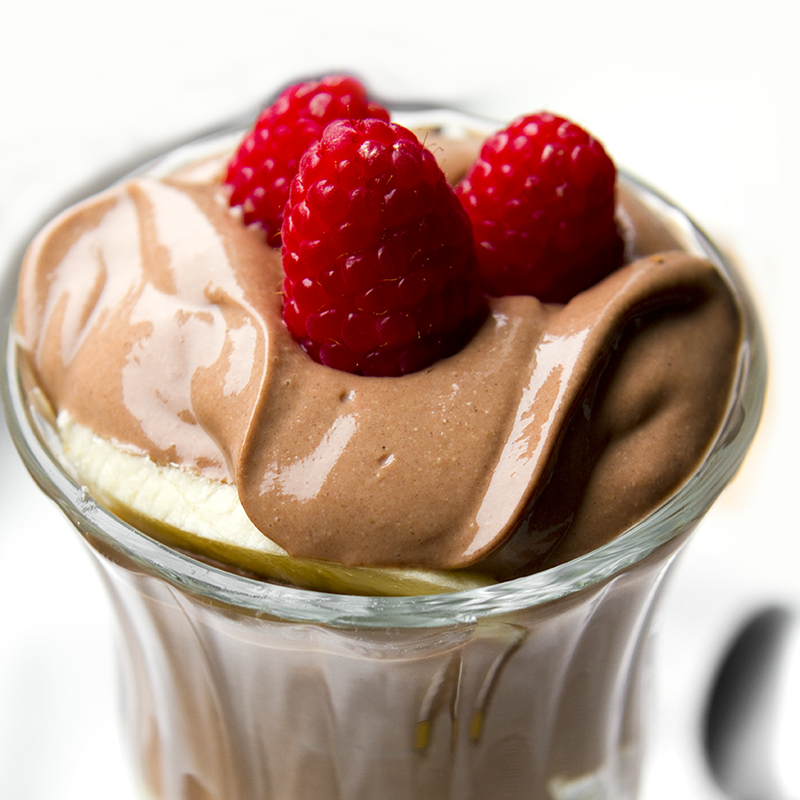 One taste and you will see why this decadent pudding or mousse has long been a HealthyHappyLife fan fave! And one of my all time fave recipes as well. You can even totally call this a healthy snack or even breakfast! No-Cook method - just blend and serve. And here's the best part: this recipe has only five ingredients! Spicy "Mexican Chocolate" Spin. This is my current obsession. Making this recipe just as the recipe calls for below, but adding in 1/8 - 1/4 tsp cayenne. It adds a wonderfully spicy accent that I personally love. I also love adding crushed graham crackers or vanilla cookies on the bottom of the serving dish - or layering them in like a parfait. 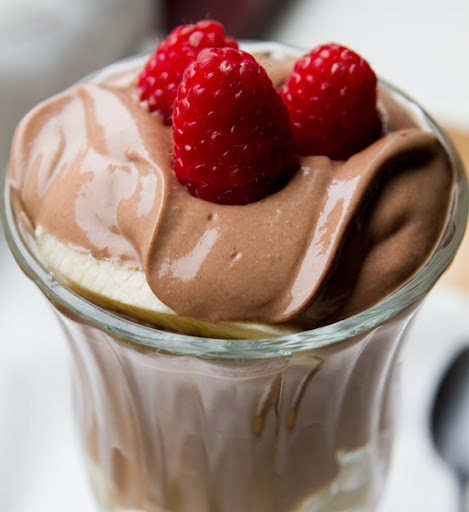 And this pudding always always tastes amazing with fresh red berries like raspberries and strawberries. Brand to use??? I actually experimented with a few different brands of tofu for this and interestingly, there is a big difference in texture outcomes! - Nasoya - I love this brand, but it does end up to be watery in texture. I would add another spoonful of coconut oil to help firm things up in the fridge. - House Tofu - This worked the best for me by far. Not sure why, but the pudding was nice and thick from the first blend. - Allow the pudding to sit in the fridge for a few days. This actually dries out the texture in a good way! I give 5 days max for consuming the puddings from the fridge. Maybe longer if you seal them really well..
- Add grahams or cookies! The dry grahams or cookies actually help firm things up in the fridge because they absorb liquid! 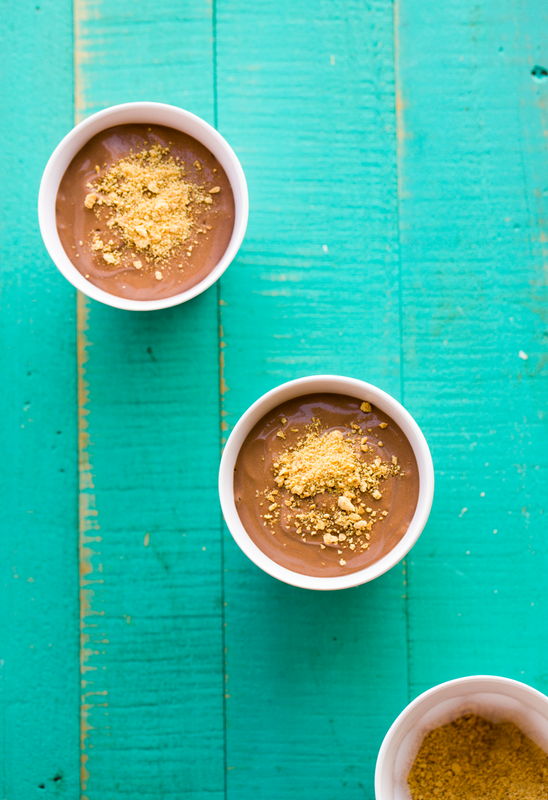 Add a generous layer to the bottom of your pudding cups. Have you noticed this trend among vegans? I've noticed that they love to gleefully share the somewhat unique dishes that they consume for breakfast. Forget cold cereal wheat flakes or pop tarts, vegans have creativity during the breakfast hour covered. Lets examine this..
Breakfast Pudding. 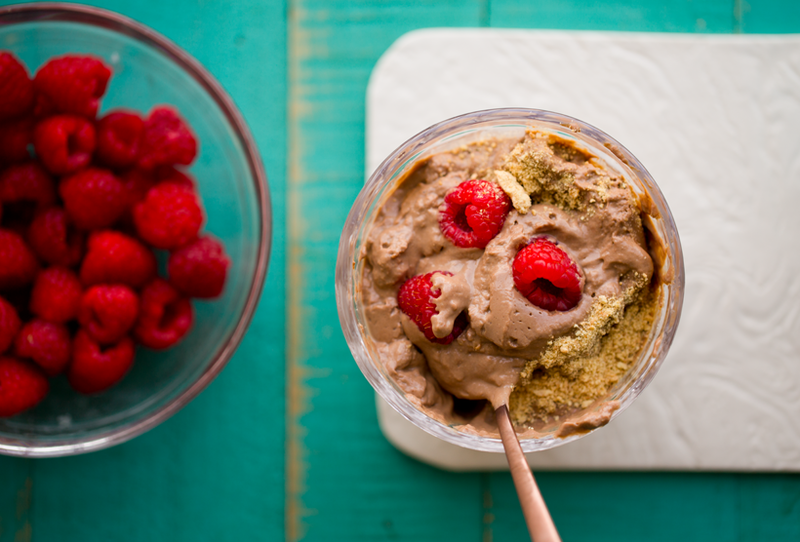 Add a handful of fresh fruit, maybe some additional superfood toppings and this pudding becomes a perfectly healthy AM parfait. Rich in protein, antioxidants, fiber and flavor. Raw Cacao. The raw cacao for this recipe is very important. You can not swirl in some chocolate syrup and call it a day. 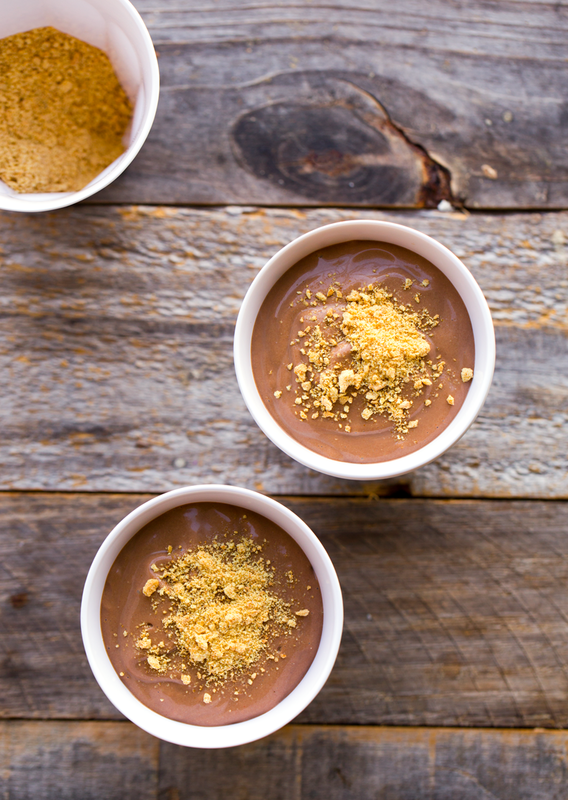 High quality cacao is key to making this recipe both healthy and delicious. I used Navitas Naturals brand raw cacao powder. The flavor is rich and earthy. I add scoops of this stuff to granola bar mixes, healthy chocolate cake, muffins, cookies, smoothies, shakes and more. You can find it at Whole Foods - mine was in the nutritional supplements section. Right next to the hemp seeds and super fruit trail mix blends. 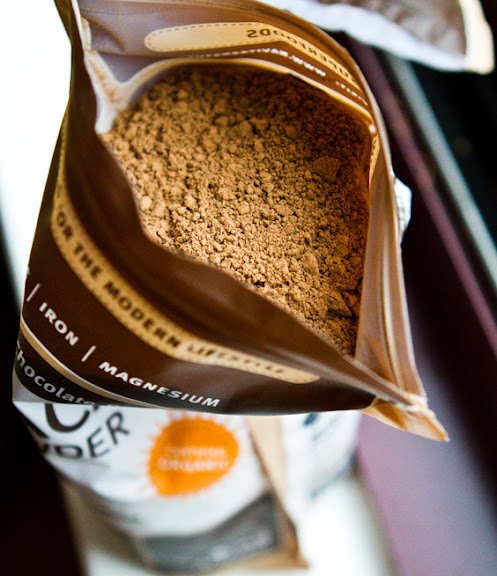 Cacao Facts: 2.5 Tbsp raw cacao contains 8% RDA of iron, 4g fiber and a rich amount of antioxidants. They say dark chocolate is "good" for you - well this raw cacao is even better!.. 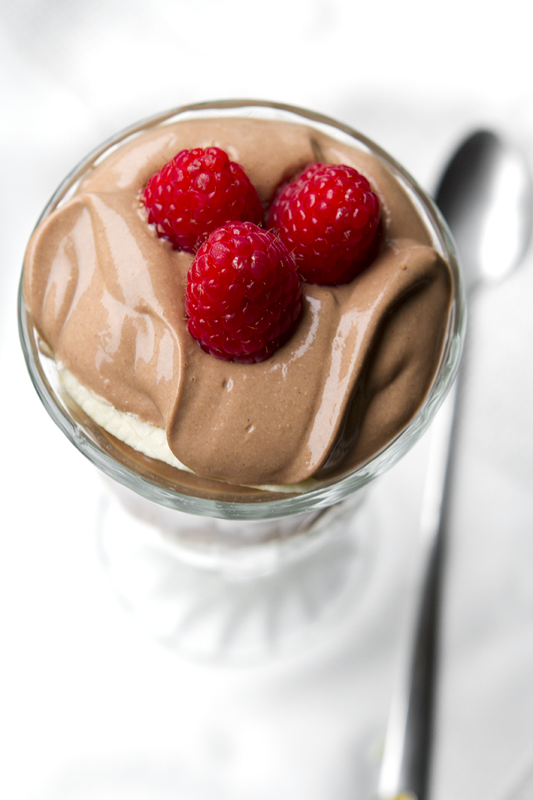 This rich and fluffy vegan chocolate pudding is dreamy and amazing and actually good for you! Protein packed. 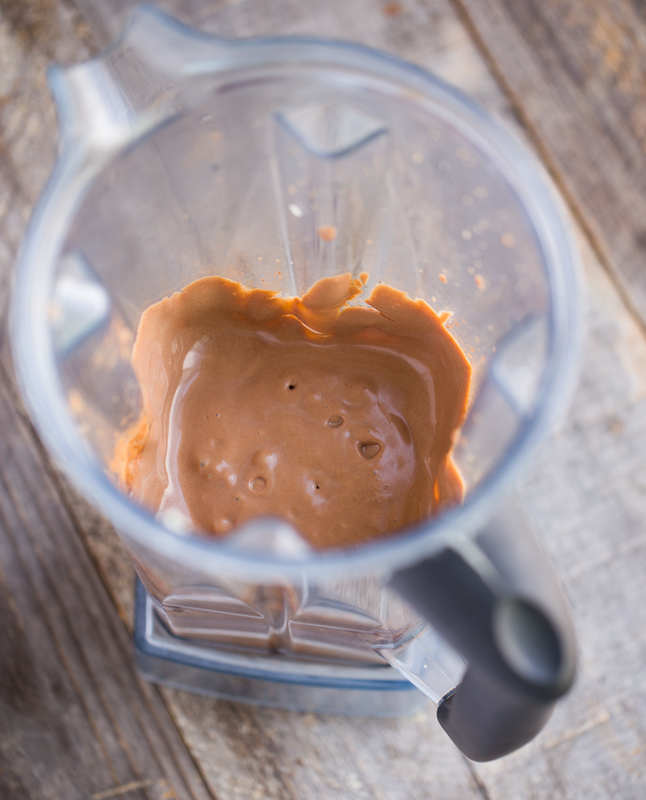 Add all ingredients to your high speed blender. Blend from low to high until silky smooth. Taste test and adjust sweetness and chocolate and salt if needed. Tip: The first time you make this, start out by adding minimal ingredients (cocoa, salt, sweetener....) and then add more to make sure the taste fits your preference. I like the chocolate really bold and the sweetness with a nice brightness to compliment the hint of salt. 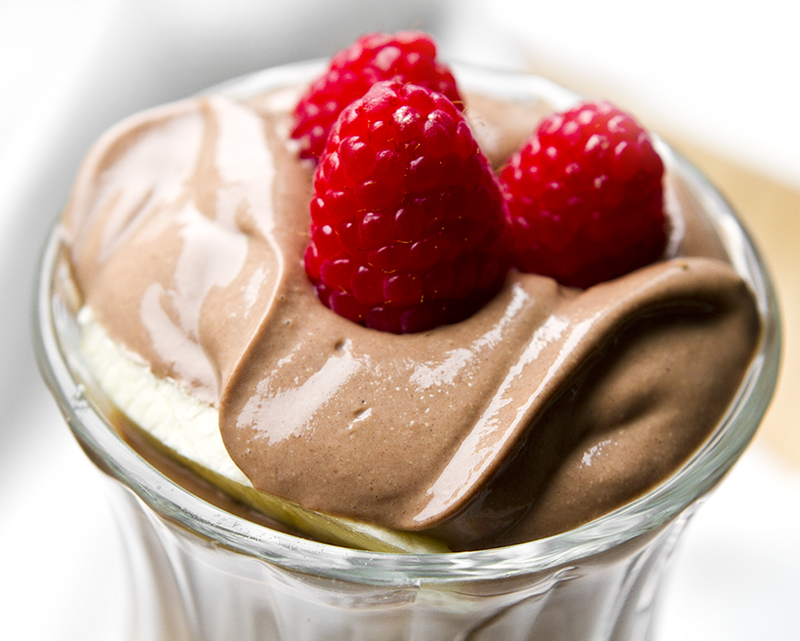 Tip: For a thicker pudding, add two Tbsp coconut oil instead of one. When the pudding is to your desired taste preferences, give it one more whip in the blender on the highest speed - for about 30 seconds. 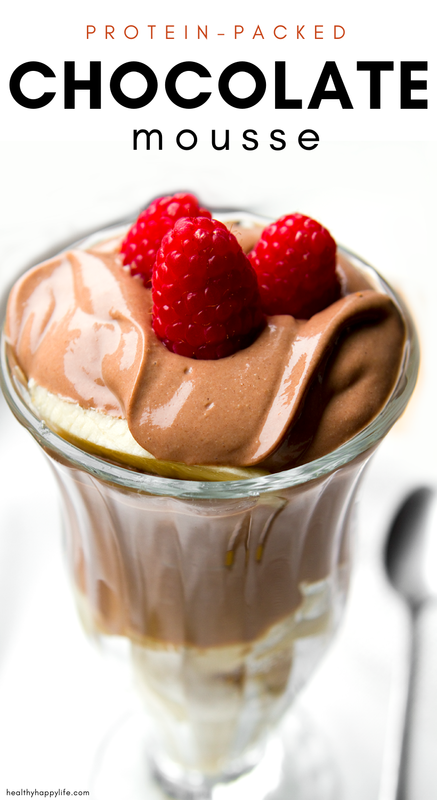 This will whip as much air as possible into the pudding, giving it that mousse-like texture upon chilling. Pour into serving dishes. Cover with plastic wrap (optional) and chill for at least an hour to firm up. Serve chilled with optional fresh berries. Coconut whip is also a delicious addition! Yes, these can made up to a few days in advance of serving and keep for about 3-5 days max in the fridge before they lose their fluffy, silky, moist texture a bit. * Blend in peanut or almond butter for a nutty accent. * Add a dash of cinnamon for a spiced choco flavor. * Add in raw coconut flakes for extra coconut-y flavor. * Top with coconut whip. * Blend in a whole raw banana for a creamy sweet tropical accent. 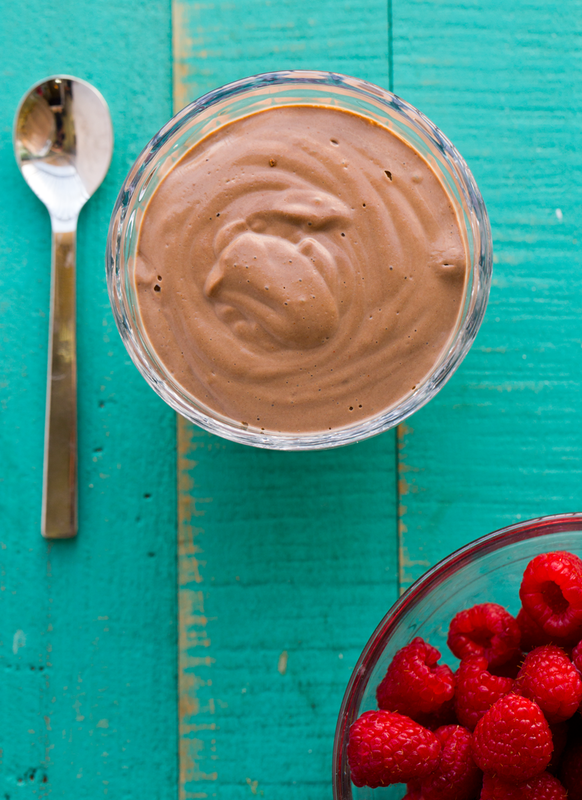 * Blend in some raspberries for a softer berry-ish pudding. * Blend in cayenne for heat. * Blend in vanilla bean seeds. * Layer in crushed grahams or vanilla cookies - or even chocolate cookies for a decadent parfait.